Rep. Joe Kennedy said he hopes for the sake of the country and the integrity of the US election process that special counsel Robert Mueller turns up nothing in his Russia investigation. "It is probably too much to hope that what Mueller's report is actually going to say is, 'Nothing to see here, nobody did anything wrong, we got everyone already and case closed.' That's what I hope it says," the Massachusetts Democrat told Van Jones on "The Van Jones Show," airing Saturday on CNN at 7 p.m. ET. Sources told CNN on Wednesday that Attorney General Bill Barr is preparing to announce the completion of Mueller's investigation as early as next week, with plans for Barr to submit to Congress a summary of Mueller's confidential report soon after. Kennedy told Jones that he hopes Mueller does not conclude that the Trump campaign "engaged in nefarious activity" to "potentially elect a President that didn't actually earn every vote." "And I hope that just did not happen. I hope that is not true," Kennedy said. "Because I don't want, for the sake of our democracy, for the sake of every single voter out there, whether you voted for Donald Trump or Hillary Clinton or somebody else, I want everyone to believe that process has the integrity we believe it should have." Asked why he wouldn't want that conclusion for a partisan advantage, Kennedy said Trump has given Democrats "plenty to beat him up for in office. We don't need the rest of it." But he argued that if someone had successfully meddled in the 2016 election to sway the outcome, "then they should be held accountable to the highest possible penalty of the law." 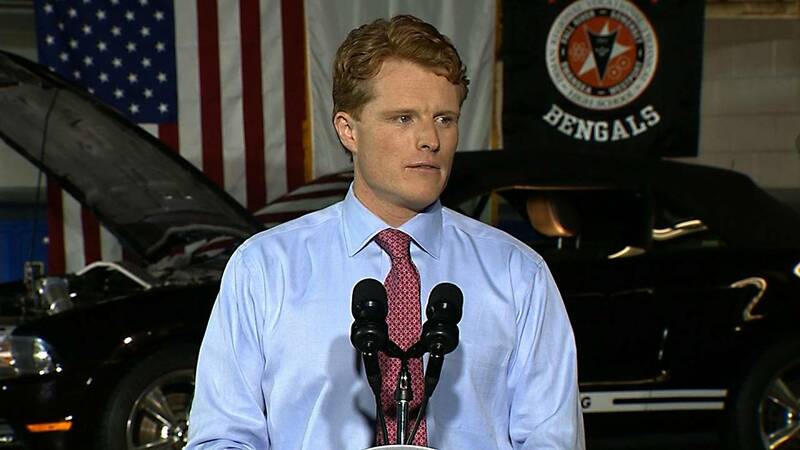 Like most congressional Democrats, Kennedy wants to wait until Mueller's report is out to consider whether to begin impeachment proceedings, which would start in the House. Watch "The Van Jones Show" Saturday at 7 p.m. ET on CNN for the full interview.